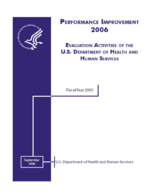 Purpose: Are health information seekers aware of the National Institute of Health (NIH)’s research mission? To what degree? How satisfied are health information seekers with NIH health content? How satisfied are users with the depth of health topics covered by NIH? Do users have different expectations for the NIH Health Information Pages than they do for commercial health Web sites? Methodology: Email survey fielded to Nielsen/NetRatings MegaPanel January, 2004: 35 percent response rate, Weighted n = 1,095. Data weighted based on Age, Income and Gender. Findings and Recommendations: Trust is clearly a key component to which sites consumers visit for health content. NIH could increase visitors’ trust of their content simply through online brand awareness campaign. Since health visitors find new sites mostly through search engines and links from other respected sites, it may be most effective to develop deeper partnerships with respected health related sites to further develop brand awareness. Clearly, building traffic should be a key goal for NIH. Users who have visited NIH in the past month have a significantly better opinion of the quality of NIH content and have a much better understanding of NIH’s core message. NIH is doing an adequate job conveying its message to health content consumers. Improving the messaging is important for long-term success of NIH.gov.